Absolutely! The Education Specialists at McKissock are able to create nearly any package you can imagine! You could switch courses, add more courses, or take out some courses; there are many possibilities! 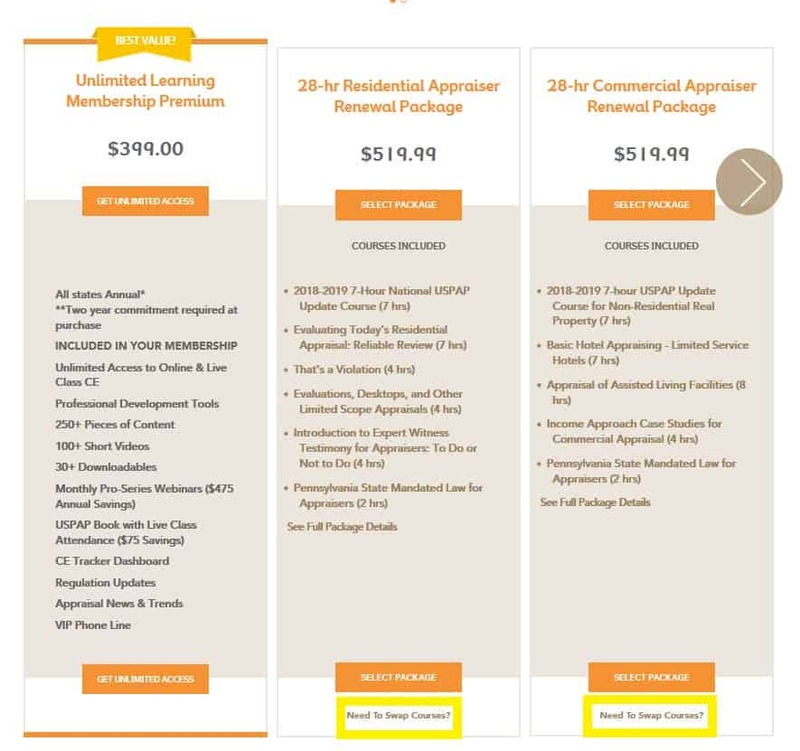 To get started, call in and talk to one of our Education Specialists about your needs and we will customize a package that suits those needs and is at the same great package rate! There is also an option to customize a package right from your account, however, the package must remain at the same credit hours. This option works best if you need the exact number of hours offered in the premade package. If you need fewer or more hours you will need to speak to one of our Education Specialists. To get started with customizing your own package, log into your account and locate the package you are interested in. You can do this by selecting your profession at the top of the screen. After clicking to swap courses, a new screen will appear. On the new screen you will be able to select one course at a time from the current package to swap for another course. 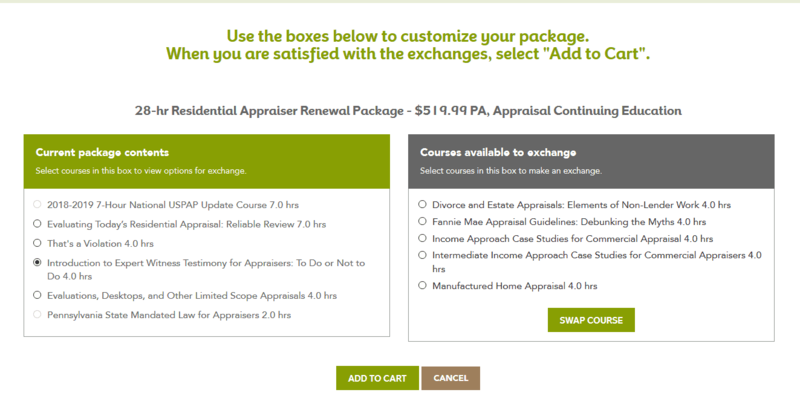 The current package appears on the left of the screen in a box with a green header. Once you select a course to swap, the courses available to swap in will appear on the right side of the screen in a box with a grey header. Once you have finished customizing your package simply click “Add to Cart” and proceed to the check out! You have now customized your own package!